It's been a busy week for space focused business activities in Canada. With that in mind, here are a few of the items currently being tracked by the Commercial Space blog. exactEarth CEO Peter Mabson. Photo c/o TheRecord. New Jersey based Orbcomm, and its local subsidiary, Ottawa, ON based Skywave Mobile Communications, have been defeated by Cambridge, ON based exactEarth for a Canadian government contract for satellite-based maritime surveillance. But the final deal has turned out to be far smaller than originally anticipated. When exactEarth was last profiled in the February 14th, 2016 post, "Newborn exactEarth Faces its First Battle for the Worm," the new contract was expected to be a simple renewal of an existing exactEarth contract worth $19Mln CDN covering a period of 18 months, which expired in March 2016. But that's not quite how it worked out. As outlined in the May 6th, 2016 Space News post, "exactEarth bests Orbcomm for Canadian contract that shrank to a pittance," the new contract has shrunk in value to only $116,000 CDN in total and will expire on March 31st, 2017. For exactEarth, this represents an approximately $600,000 CDN reduction in revenue for each month the contract is in force, which is quite the hit to take given that the firm only booked $26.6Mln CDN in total revenue for the twelve month period ending October 31st, 2015. 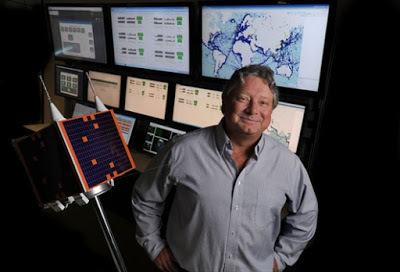 As outlined in the May 5th, 2016 exactEarth press release, "exactEarth Awarded Canadian Government AIS Maritime Data Services Contract," even exactEarth CEO Peter Mabson wasn't totally happy with the situation. According to Mabson, "While we are always pleased to win competitive tenders, our solution to the GoC requirements in this case required only a small fraction of our satellite AIS capabilities, which was below our expectations." Nice baby! 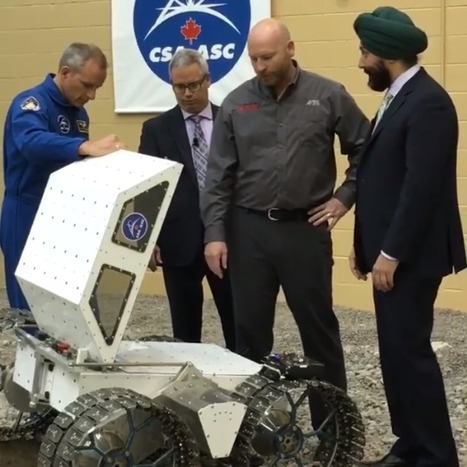 CSA astronaut David Saint-Jacques, CSA president Sylvain Laporte and Ontario Drive and Gear (ODG) space and robotics manager Peter Visscher discuss Canada's newest rover with innovation minister Navdeep Bains at CSA headquarters on Thursday. To view the complete video, simply click on the photo. Photo c/o CSA. Meanwhile, back at the Canadian Space Agency (CSA), innovation minister Navdeep Bains found time in his busy schedule to take a quick look at the current crop of Canadian rovers. As outlined in the May 5th, 2016 CBC News post, "Canadian Space Agency unveils lighter, less expensive rovers," the photo-op was organized to promote the rovers to international partners. However, as outlined in the October 20th, 2012 post, "Lots and Lots of Rovers Looking for Missions," rovers have been popular science projects among CSA managers since well before the current round of rover funding began under the Stephen Harper government's 2009 Economic Action Plan. That plan allocated $110Mln CDN over a three year period to the CSA for development of the next generation Canadarm (which received $53.1Mln) and for Canadian rovers (which received most of the rest). But the first generation of rovers were clunky and expensive toys which compared poorly to rovers funded by other governments and even to private sector competitors such as those working on the Google Lunar X-Prize. Those rovers, like the next generation Canadarm, never ended up being used for anything after funding ran out in 2012. The CSA, perhaps expecting to use the experience gained last time to figure out the right way to build them, embarked on a new round of rover funding in 2014. As outlined in the December 1st, 2014 post, "New CSA Rover Contracts Worth Over $3.28Mln CDN Uncovered," the additional funding was to "prepare Canada for space exploration activities beyond the International Space Station (ISS) by developing key technologies including Moon/Mars rovers, on-orbit servicing, active vision systems (for spacecraft rendezvous and navigation), in-situ resource utilization (ISRU) (i.e. drills) and surface power/communications systems." Here's wishing them luck with that. The new rovers are "priced to sell," and range from $40K to $150K CDN, but still look uncomfortably close to the rovers profiled in the March 7th, 2016 post, "High School Engineering Contests as the REAL Future of Innovation." 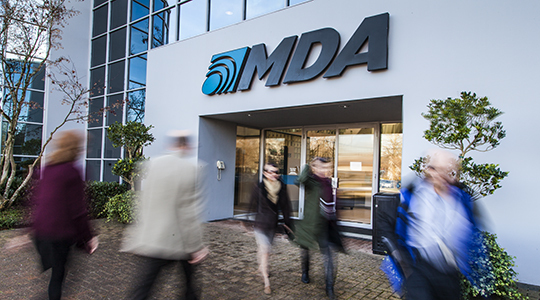 The busy front door at MDA headquarters. Photo c/o BC Technology. Of course, Minister Bains wasn't just on walkabout for his health. As outlined in the May 5th, 2016 Federal government press release, "Government announces $54 million to help bridge the gap between research and development for aerospace companies," he was also handing out money to Richmond, BC based MacDonald Dettwiler (MDA) under the Federal Technology Demonstration Program (TDP). The new funding, as outlined in the press release, will "help MDA and its partners develop and test next-generation satellite technologies, which will lead to better radar and search and rescue capabilities, faster data transmission, and improved cloud-based data processing capabilities." MDA partners in this project include Lethbridge, AB based Whipcord; Cambridge, ON based COM DEV International (which is now more properly known as the Canadian subsidiary of Honeywell International); Cambridge ON based exactEarth; Winnipeg, MB based Magellan Aerospace and Vancouver, BC based UrtheCast. Several universities will also be involved. Oddly enough, the new money wasn't offered up through the CSA, which suggests that the innovation minister has bypassed it (except for their rovers) and will fund this project directly through MDA, which will also serve as the primary point of contact for the subcontractors. It's just another example of the changes which have engulfed the CSA since volume 2 of the Emerson Aerospace Review was released in 2012. For more on those changes, check out the December 5th, 2012 post on "What the Space Volume of the Aerospace Review Actually Says." Other companies are also moving from success to success. Take for example Vancouver, BC based Urthecast, which has just announced that it's looking for US partners. As outlined in the May 6th, 2016 UrtheCast press release, "UrtheCast Announces Invitation to Discuss Potential U.S. Partnership to Serve U.S. Government Customers and Plans to Issue Request for Information (RFI)," the company plans to issue a request for information (RFI) to US based firms willing to assist with the sale of data services "from UrtheCast’s planned OptiSAR™ Constellation, as well as its proposed UrtheDaily™ Constellation concept," to US Government customers. Breaking into new markets, especially US markets, with products, data or anything else which could possibly cause conflicts with international traffic in arms regulations (ITAR), a set of US government regulations controlling the export and import of defense related articles and services, is always a difficult situation for a Canadian company. As outlined in the February 15th, 2015 post, "2015 is Shaping Up to be a Good Year for UrtheCast," the company went so far as to appoint to its board Letitia "Tish" Long, the former director of the National Geospatial-Intelligence Agency, in the expectation of future US government contracts. Wanna learn more? 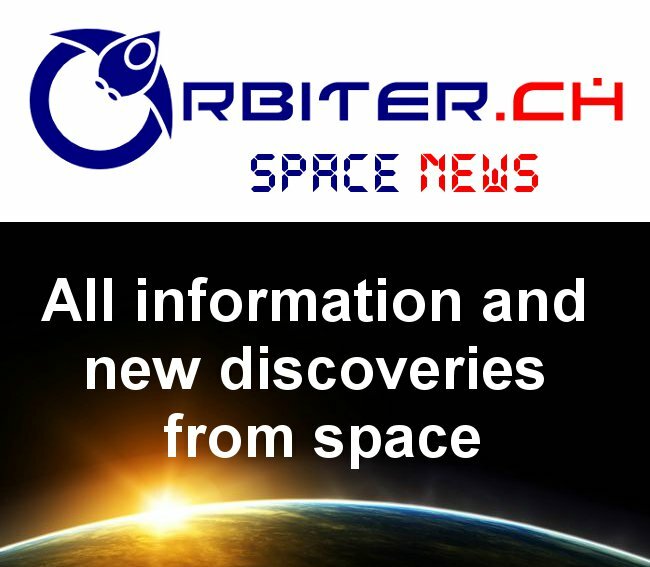 Then check out future posts from the Commercial Space blog.